2009 wasn't a very good year for budget airlines with plenty of route and airport closures. 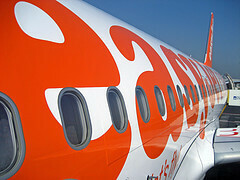 However, easyJet has pledged 70 new routes in 2010, which is a huge expansion for Europe's 2nd largest budget airline. As we've previously covered, 10 easyJet routes were revealed back in November 2009. This is all fantastic news for European travelers, with very strong expansions in the continental hubs as well as England. Last updated by jack on 07 January, 2010 in Travel News.